An Implant is a man made cylinder shaped device that can be placed into the bone of your jaws to act as an attachment for a new custom-made tooth. The new tooth can restore a gap on its own or part of a bridge. Implants can also be used to stabilise loose dentures. The metal rod is most often made of titanium and acts rather like the root of a tooth. The crown (the bit you see when you smile) is attached to the implant by a small metal structure called an abutment. Implants can replace lost teeth and to date can be very successful provided they are placed in the jaws with careful planning. How does an implant stay in the bone? Titanium is a metal that the body gets on well with e.g. it is used in new hip and knee joints in the medical profession. The implant has a thread which helps it to screw into the bone a bit like a wood screw into wood, additionally if it is placed in the jaw bone carefully, the cells that surround the implant will become bone and actually attach to it. The implant needs to be inserted into the jawbone in the area of the missing tooth. This requires a small operation under local anaesthetic. 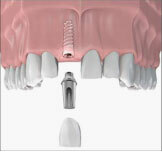 More details about this operation can be seen in the Implant placement procedure sheet. The implant is usually left for a period of about 6 weeks before the new tooth; bridge or denture is attached to it. A gap in the mouth due to tooth loss can be upsetting especially if it shows when you smile. Implants replace teeth and can help boost self-confidence; they can also help in a functional way such as chewing and speaking. Implants fix teeth to the jawbone securely and can help avoid embarrassing situations such as loose dentures. Implants can help maintain bone in areas of the mouth where it would shrink away following tooth extraction. Conventional dentistry often involves the destruction of adjacent teeth if a gap is to be restored with a bridge, Implants are minimally invasive and do not damage the adjacent teeth. Most people can have implants. You would need to be in good health. There are some medical conditions that may contraindicate implants such as diabetes and taking drugs such as Bi-phosphonates. Generally implants are not placed in children with developing jaws. In older patients, implants work very well provided you are in good health. Some factors can reduce the success of implants, these include, smoking, poor oral hygiene, periodontal disease. Another important factor is the state of the bone where the implant is to be placed. The bone needs to be plentiful and good quality. All of these issues will be covered in the implant assessment session during the planning phase. The dentist will need to examine your mouth very thoroughly and do other investigations such as x-rays, photographs and impressions. This important stage is needed to determine the type of implant that would be most suitable for your needs. Potential problems such as smoking and periodontal disease that may affect success of the implant can be identified and addressed. This is a method used by dentists to demonstrate how a finished restoration might appear. Study casts made from the impressions of your mouth can be used to produce a mock-up of the new crown, bridge or denture that is to be secured by the implants. This means that you will be able to see how your teeth may look before any implants are placed. This important stage can also help the dentist decide on the best location for the implant. Once the decision has been made on the size, number and location of the proposed implants it is generally accepted that written informed consent will need to be gained before embarking on any treatment. The consent form will be read through by you and your dentist at a separate session in order to address any queries or worries you may have. You should only sign the consent form if you are satisfied that you understand the procedure that is being proposed and its risks and benefits. Please see the example consent form and the risks section. This is the stage most patients are anxious about and is covered in the Surgical implant placement sheet. The length of the procedure will vary depending upon the complexity. 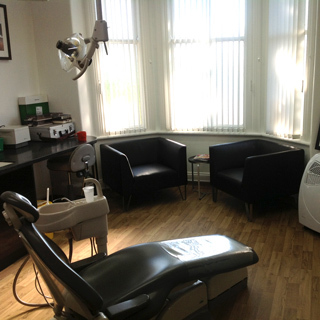 This is the exciting bit for both dentist and patient! The implants need to be left for about 6 weeks after placement. They can then be uncovered if not already showing through your gum. This is a very small procedure under local anaesthetic. Impressions will be taken in order and sent to a technician so the new planned crown, bridge or denture can be made. Occasionally a temporary restoration will be placed, this may be to help a patient adapt to having the new teeth or if you are not quite sure if the teeth are the correct shape, size and colour. Once you and your dentist are satisfied, the permanent restoration can be fixed in place. 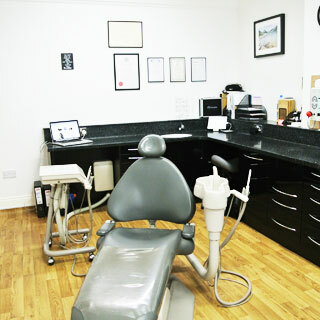 Your highly sophisticated restoration will need to be taken care of by you at home with excellent oral hygiene. You will need to visit the dentist at least once a year to monitor the implants so any problems can be addressed before they become serious and risk the implant failing. If there are issues with smoking or gum disease these monitoring visits may need to be more frequent. With all oral surgery there are risks of complications. There may be some discomfort, bruising and swelling of your upper lip after the operation. There is also risk of infection (1 – 5% Pack and Haber 1983). You will be provided with painkillers and possibly antibiotics post operatively. You will also notice some stitches in your mouth around the surgical site. We tend to use stitches that don’t dissolve; therefore you will be seen approximately 2 weeks after surgery to have these removed. The upper jaw has some issues as far as placing ITI Implants (91% successful in 5 years). There is a large space called the Maxillary Sinus, which varies in size but can limit the amount of bone available for longer implants. The sinus may need to be modified with extra bone in order to place the correct length of Implant or the floor of the sinus may be pushed up slightly with a special instrument to make room. The bone quality of the upper jaw is generally not as good as the lower jaw, especially the further back you go, this can affect the success rate of the implant attaching to the bone. There is very little risk to the Infraorbital nerve that supplies the sensation to the upper lips and surrounding tissue. However, it can be bruised or stretched during the procedure and rarely some residual numbness may occur, this is usually temporary. Occasionally extra bone may be required in order to place the implant successfully. This may be taken locally from the area surrounding the implant site or it may need to be taken from an alternative site depending upon the amount required. This is usually from the chin area or from the back of the lower jaw. Large amounts of bone can be harvested from distant sites such as the hip or the leg if the jaw bones are very deficient. You will be referred to a specialist Surgeon prior to any implants placement if this is required. Artificial bone is frequently used to help rebuild small bony deficiencies. This is a mineral derived from cows called Bio-Oss. The cows are a special herd specifically bred to produce this substance and all trace of the cow is removed during the production of Bio-Oss, the mineral is all that remains which helps rebuild the bone in a process called Guided Bone Regeneration (GBR). The GBR needs to be protected once placed and a type of bandage is placed on top in the form of a collagen membrane which allows the right type of cells to get to the Bio-Oss to produce the new bone. This membrane is derived from pigs. It is very important that you inform the Dentist if you have any objections to the use of any of these products. However in some cases the non use of these substances can reduce the success of the Implant. Failure of ITI implants are infrequent but nevertheless can happen, in this event further implant surgery will be offered if appropriate. The risk of failure increases if you smoke or have a history of smoking, if you have periodontal disease. There is also increased risk of failure with certain medical conditions that interfere with healing or affect the quality of bone in the jaws. Drugs called phosphonates and a history of radiotherapy to the head and neck can also increase risk. The success of treatment can also depend upon maintenance of good oral hygiene around the implants by the patient at home. 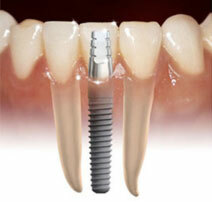 Regular maintenance checks will be required throughout the life of the implant. Mechanical failure is also a rare event, should it happen, this would require extra clinical attention, which attracts extra cost. With all oral surgery there are risks of complications. There may be some discomfort, bruising and swelling of your upper lip after the operation. There is also risk of infection (1 to 5% Pack and Haber 1983). You will be provided with painkillers and possibly antibiotics post operatively. You will also notice some stitches in your mouth around the surgical site. We tend to use stitches that don’t dissolve; therefore you will be seen approximately 2 weeks after surgery to have these removed and to check on the healing of the wound. There is a low risk of damage to the natural teeth adjacent to the implant site. Careful planning and x-rays before and during the procedure help avoid this happening. Occasionally extra bone may be required in order to place the implant successfully. This may be taken locally from the area surrounding the implant site or it may need to be taken from an alternative site depending upon the amount required. This is usually from the chin area or from the back of the lower jaw. Large amounts of bone can be harvested from distant sites such as the hip or the leg if the jaw bones are very deficient. You will be referred to a specialist Surgeon prior to any implants placement if this is required. The main risk in the lower jaw is to the nerve that supplies sensation to the lip and the tongue, the risk is low (1-2% persistant numbness Berglundh et al 2002) and generally sensation will return fully within a year. There have been reports of bleeding from arteries during implant surgery in the lower jaw, this is extremely rare. The gum around the area will be pushed away to expose the bone. A hole is prepared very carefully; x-rays may be taken to ensure the hole is at the correct angle. If there is not enough bone to cover the implant extra bone can be collected from around the area and mixed with some artificial bone, this can then be used to completely cover the implant (guided bone regeneration). Finally the implant is placed and the gum replaced with some stitches. If you are wearing a temporary denture this will be replaced but may need to be trimmed so it does not press on the implant too much. 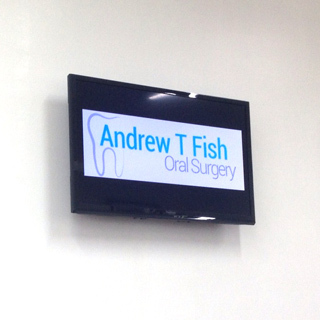 The gum and bone will be anaesthetised with local anaesthetic so you should not feel any pain during the procedure. Afterwards once the local anaesthetic has worn off the area may feel a little sore, you will be given painkillers and instructions to prevent the soreness affecting you. Most patients worry about pain after the operation, in reality pain killers are usually taken on the first day only. If you are in pain 3 to 4 days after, you may have a problem and should ring the dental practice. We use a stitch that doesn’t dissolve but they are very fine and should not bother you at all. You will be seen 2 weeks after the operation to check on healing and to remove the stitches. 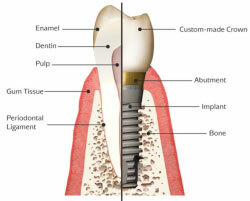 Implants are either placed at the level of the bone or at the level of the gum. The bone level implants will be covered over, but you may be able to feel and see the gum level implant with your tongue. You will be advised of which type of implant you will be getting. You are likely to be a bit bruised and swollen following implant placement; this usually takes 2 days to come up and 2 days to go down. You can work if you feel able to but it might be wise to have a couple of days off or work from home if you are able to. Oral hygiene is extremely important to help with the healing process and prevent infection. Your dentist will give you specific instructions about post-operative care. You may also need to take some antibiotics. Please do not hesitate to call the dental practice if you have any concerns. When can I have the new teeth?